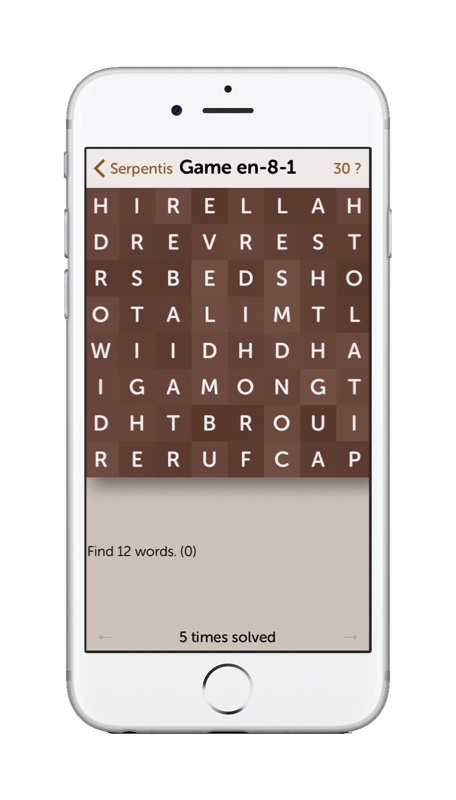 Serpentis is simple but hard word puzzle. You must found unknown words in grid with determined number of words. There is 5 supported languages, 5 sizes, thousands levels. There is special page with SERPENTIS statistics a puzzles.